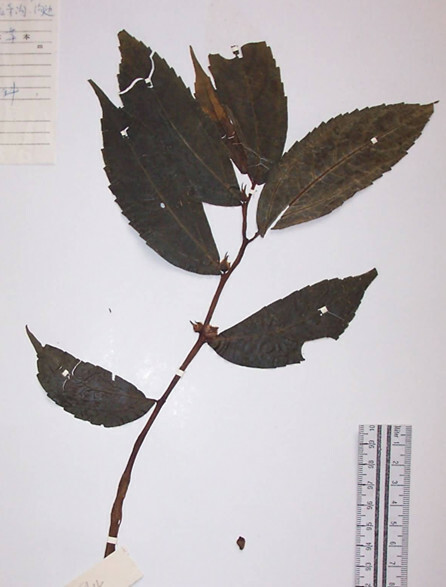 The drug is the dried whole plant of Elatostema ichangense H. Schroter (family Urticaceae ), growing in evergreen broad leaves woods or on rocks, distributed inHubei, Hunan, Guizhou, Sichuan, Guangxi of China. Clear heat and remove toxicity, regulate the menstruation and alleviate pain. Irregular menstruation, sores and boils, dysmenorrhea. Decoct 6~15 g. Proper dosage is for external application, pounded for applying with the fresh.